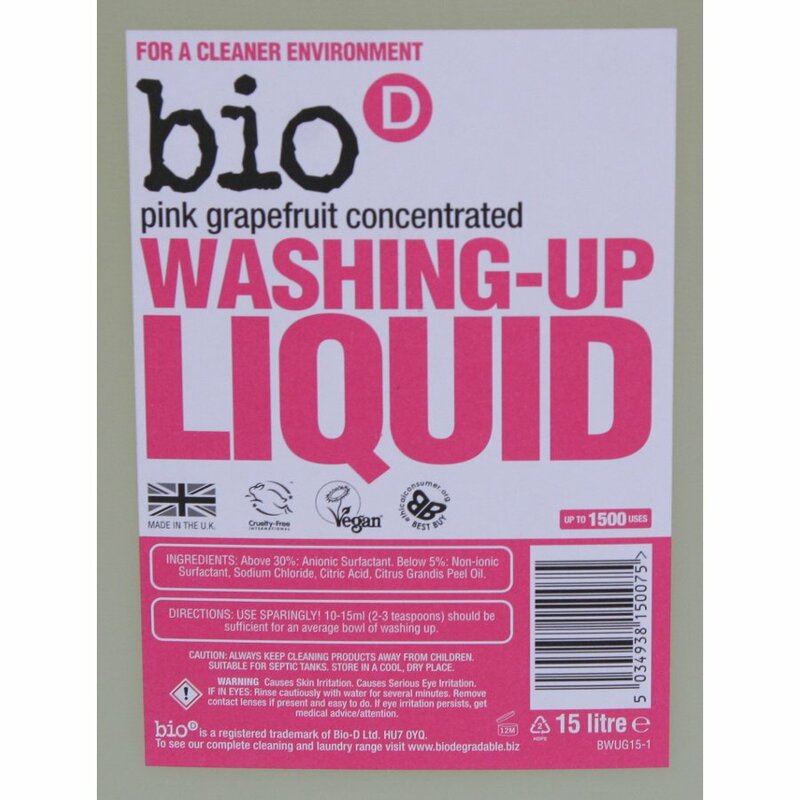 Use this zingy, natural grapefruit scented washing up liquid from Bio D. The large 15L refill helps you save money and reduces plastic waste as you don't need to buy smaller bottles each time. 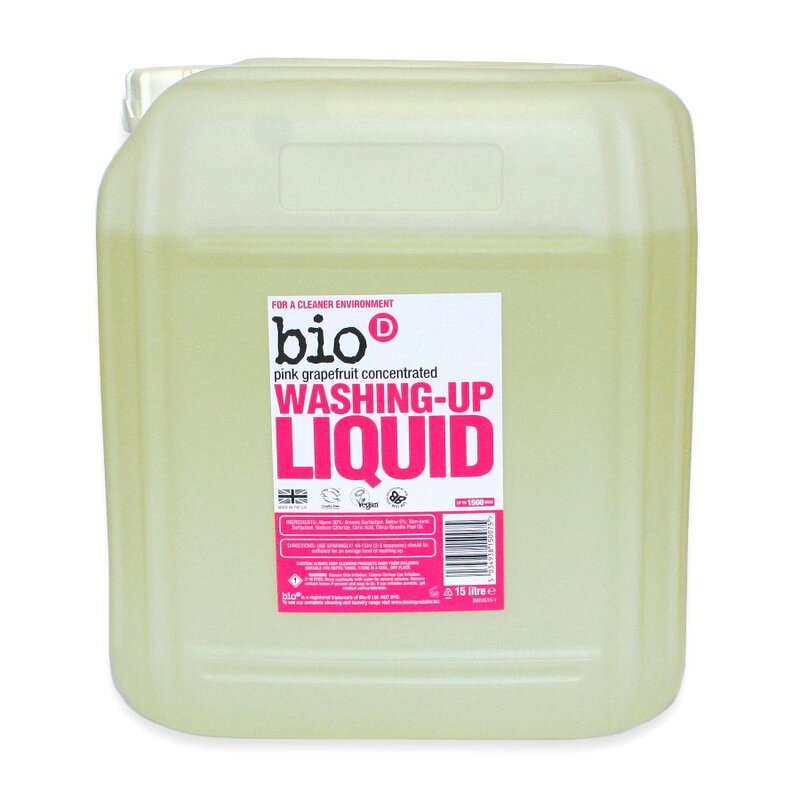 The organic washing up liquid has a plant based formula that cuts through tough stains without any harsh chemicals. 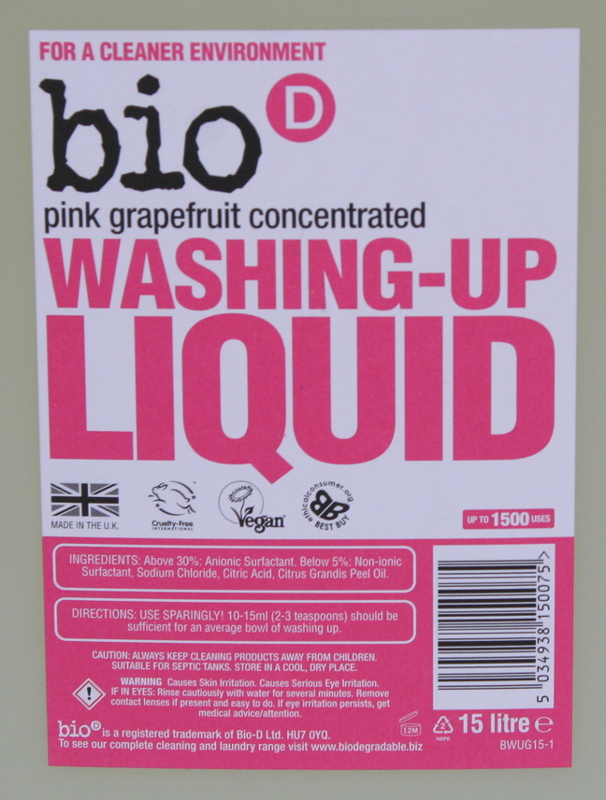 Free from petrochemicals, phosphates, preservatives, enzymes and synthetic perfume, certified cruelty free and made in the UK. 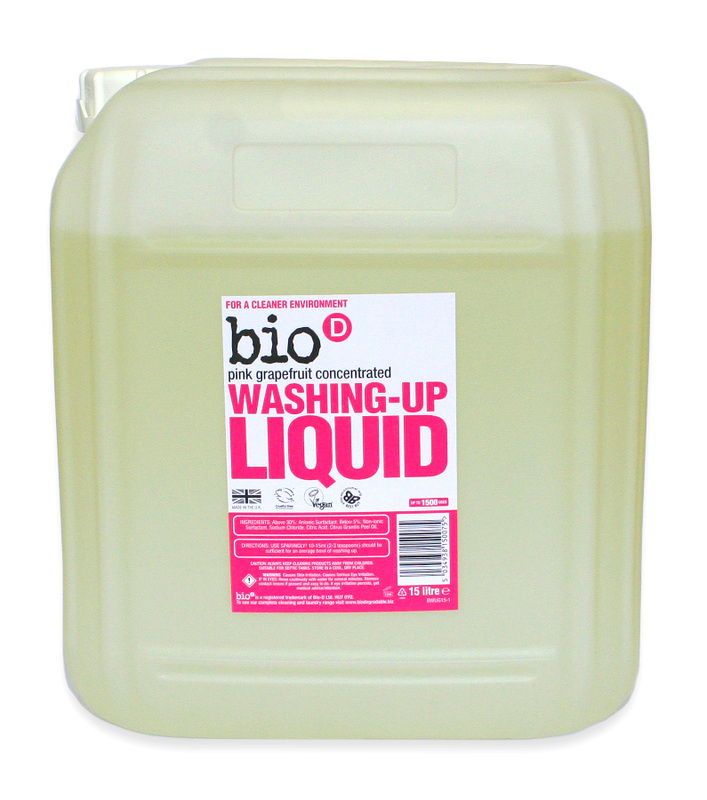 Tap available for the 15L refill here.